Here is a room I highly recommend. Carbon Poker is one of the top online poker sites in my database and is one of only a few that I consistently recommend over and over again. The biggest Deposit Bonus in my database 200% up to $5,000 FREE! Carbon Poker is a USA facing poker room established in 2005. USA players will know that choice is very limited due to unclear legality of online poker in the USA, but Carbon Poker is the most Popular room amongst US players although there are a few US states that they do not accept. 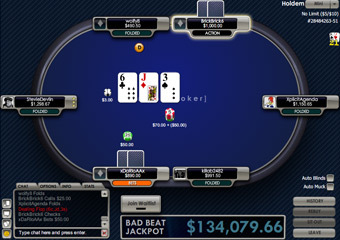 Originally a stand alone room called poker.com they became Carbon Poker in 2005 and are the owner and flagship brand of the Merge Poker Network, where a number of poker operators all combine together for their players to play together on the same tables. This means there are more players and games available at any one time and leads to a much better experience for the player. Players are attracted to Carbon Poker due to their unique and well tested software, the biggest deposit bonus we have ever seen 200% up to $5,000 Free, and other regular promotions such as a massive Bad Beat Jackpot and Royal Flush Bonuses. If you are looking for a good deposit bonus and like free money then we have never seen anything as big as the bonus offered by Carbon Poker. You can get up to $5,000 free by making a deposit, whatever amount you deposit then Carbon will give you double your deposit for free. So deposit $500 and Carbon will give you $1,000 on top of that for free. Amazing! Carbon is licensed and regulated by the Kahnawake Gaming Commission which is well known and established in the online gaming market.